As can be expected from the UK's new master of meat, this duck with hoisin sauce dish is not as simple as it appears. Gareth Ward uses ducks aged for two weeks to ensure the skin is nice and dry, which allows for a particularly crispy finish and intense flavour. Using regular un-aged duck will also provide delightful results at home, and the intense hoisin sauce is very simple to make. 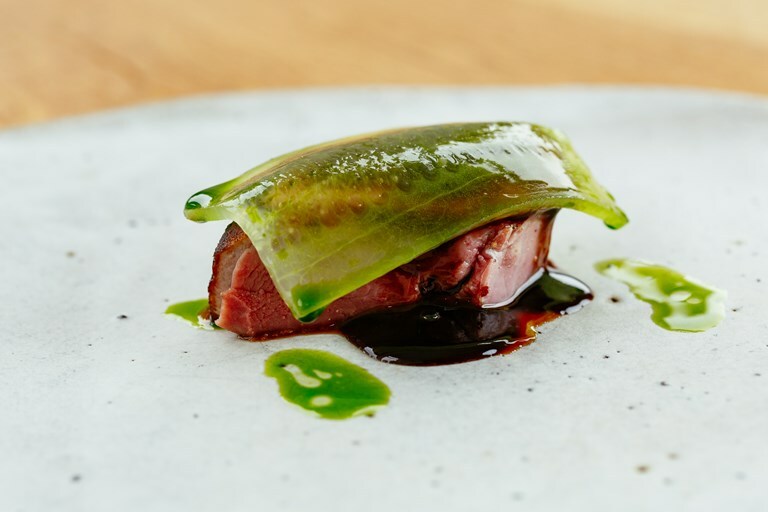 Pickled cucumber and chive oil add freshness to this gorgeous plate of food, intended to be served as part of the tasting menu that Ynyshir has become famous for.